Ever run out of cell phone battery when you are out on the run? This will keep you powered up wherever you go! 10,000 Mah to charge two devices at once!! EasyAcc has a number of power banks and other accessories to make your life easier, check them out! You can read our thoughts on the Power Bank here! 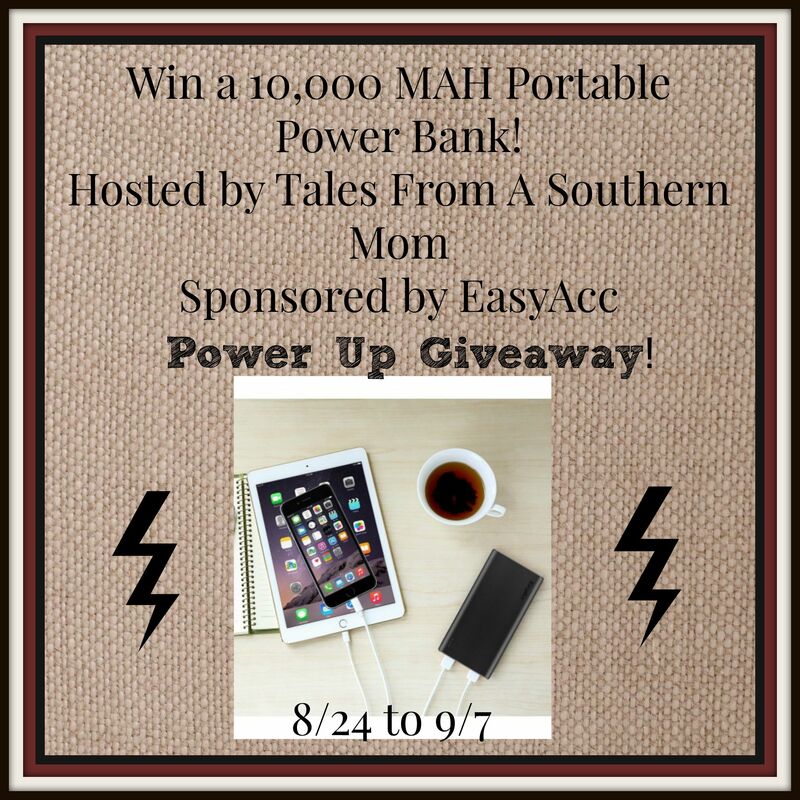 Enter to win a 2 device charger with an LED light here! I’d like any of the power banks. I would really like a bluetooth speaker. The charger would come in handy as well. They all look so nice, and very necessary! I especially love the EasyAcc 2nd Generation 10000 mAh Power Bank. That’s a lot of power!